In Kenya beans are not just BEANS! Consumers know their bean variety and preference. Our market prices are private sector market prices and are the prices consumers pay. 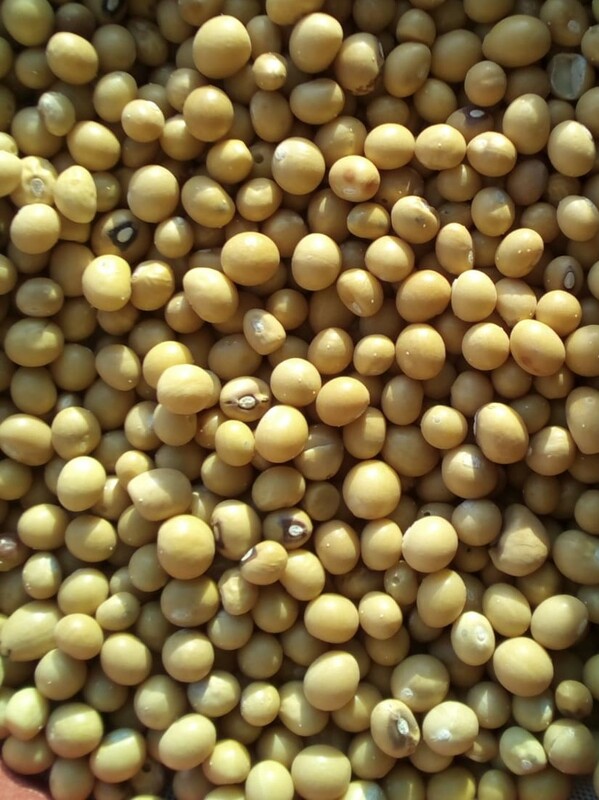 Yellow Beans (A greenish bean) alias Kathika (Kenya), Soya Njano (Tanzania). Yellow Beans is what is used most commonly in most Africa countries ; Yellow bean is tasty and does not give gas. While greatly lacking in color when cooked it is tasty and an increasing great meat supplement in domestic household consumption. Of the medium beans Yellow Beans fetches the highest prices. Retail Ksh101($1.01)/kg; Wholesale Price Ksh91($0.91);90Kg Bag Ksh8,190($81.9); Kenya Ministry of Agriculture has not reported this commodity’s price. RATIN reports wholesale prices of Makueni Ksh85($0.85)/kg, Uganda, Masindi, Ksh68($0.68)/kg, Tanzania, Dar, Ksh95($0.95)/kg, and South Sudan, Juba, Ksh168($1.68)/kg. 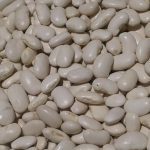 Mwitemani or Sura Baya (Kenya) alias Lukupa (Zambia), Iris (Zimbabwe) is a cream bean with black strips that is very popular for Githeri (cooked mixture of maize and beans). 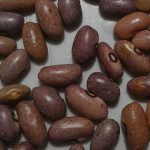 The bean is very popular especially in Western Kenya as it is very tasty and is very popular with individuals with sensitive stomachs. Mwitemani Retail Price Ksh67($0.67)/kg, Wholesale Price Ksh63($0.63)/kg, Ksh5,670($56.7)/90kg bag. Kenya Ministry of Agriculture reports 90kgs bag prices of Nairobi, Ksh5,300($53), Nakuru Ksh3,500($35), Mombasa Ksh4,600($46), Eldoret Ksh7,200($72), Isiolo Ksh3,800($38), Eldoret Ksh8,000($80), Kakamega Ksh6,000($60). 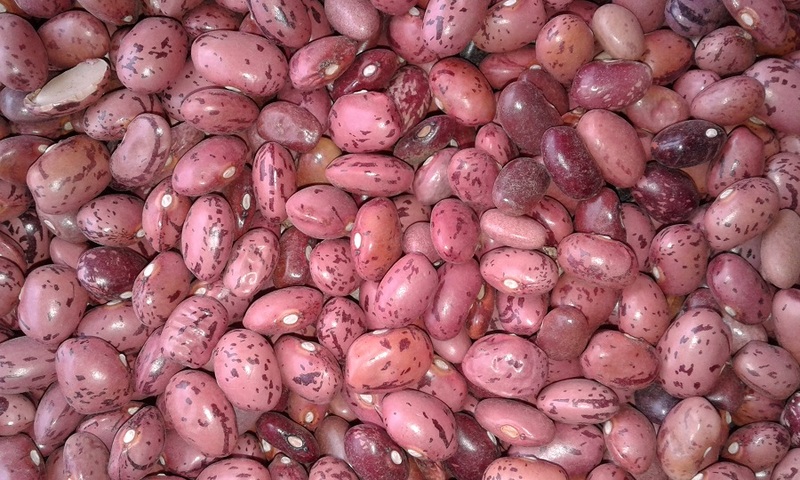 Saitoti Beans (medium, red mottled) alias NABE-17 (Uganda), Lyambai (Zambia), Napilira (Malawi) Bilfa Uyole (Tanzania); Very popular with hotels and restaurants, and a favorite in household consumption. 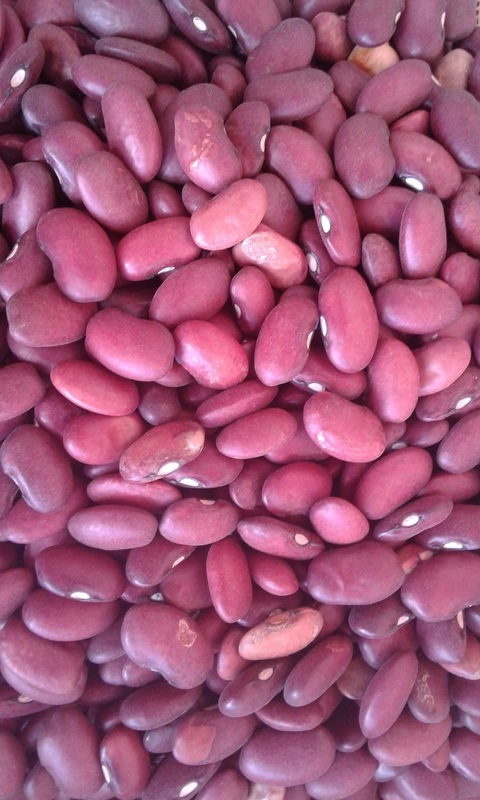 Saitoti bean shares similar features with Nyayo beans however it is characterized by being shorter Nyayo bean. Saitoti Beans Retail Ksh87($0.87)/kg; Wholesale Price Ksh83($0.83)/kg; 90Kg Bag Ksh7,470($7.47); Kenya Ministry of Agriculture does not reports the price for this commodity. Rosecoco Beans (Pink or Brown Red Speckled /Cranberry Beans) alias Kayewa (Uganda) Kabulanketi (Tanzania); Popular in restaurant and household consumption, as it does not give gas. The bean has similar features to Saitoti, but is pinkish in color. 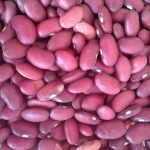 Rosecoco Beans Retail Ksh93($0.93)/kg; Wholesale Price Ksh86($0.86)/kg; 90Kg Bag Ksh7,770($77.7); Kenya Ministry of Agriculture reports a Nairobi price of Ksh64($0.64)/kg, Mombasa, Ksh72($0.72)/kg, Eldoret, Ksh91($0.91)/kg, Isiolo, Ksh67($0.67)/kg, Kisii, Ksh67($0.67)/kg. 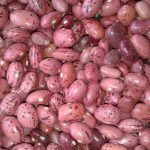 Wairimu Bean (Long Red beans); alias Uyole 96 (Tanzania), Red Wollayta (Ethiopia) Famous of its rich red color in Githeri (cooked mixture of maize and beans) and Madondo (beans stew). 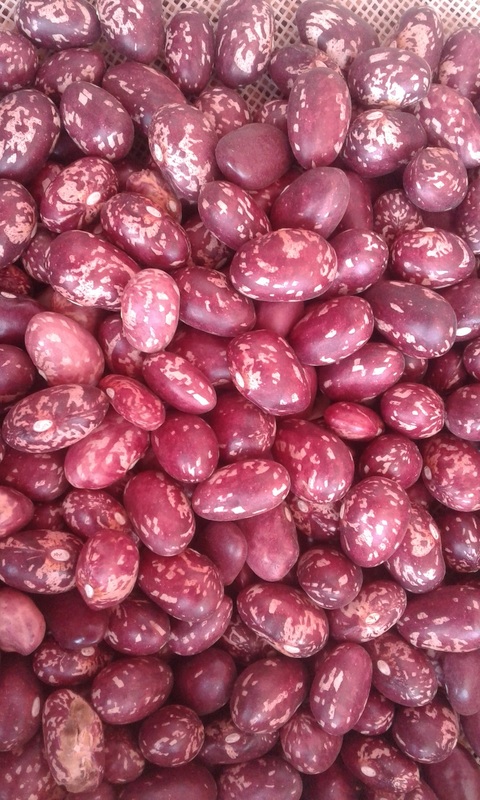 There are two Wairimu beans variety the shinny polished variety popularly know as Wairimu Royal. The ordinary variety is currently selling at Retail Ksh73($0.73)/kg; Wholesale Price Ksh64($0.64)/kg; 90Kg Bag Ksh5,770($57.7). RATIN reports wholesale prices of South Sudan, Juba Ksh104($1.03)/kg, DRC, Kolwezi, Ksh117($1.17), RW, Kamembe, Ksh33($0.33), Uganda, Kasese, Ksh41($0.41)/kg. The Wairimu beans are mostly imported from Uganda and Tanzania. 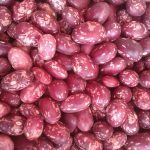 Kikara/Kakunzu or Sugar Bean – (Kenya), Kholophethe (Malawi), Golden Starlite (Zimbabwe), Masavu/NABE5 (Uganda) is a cream purple stripped bean often mistaken for Mwitemani. Sugar beans are imported from Uganda into the Kenyan market. Retail Price Ksh81($0.81)/kg, Wholesale Price Ksh79($0.79)/kg, Ksh7,070($70.7)/90kg bag. The Kenya Ministry of Agriculture does not report the market price for this bean variety. Mwezi-Moja; alias Kabulangeti (Zambia) is a purple bean, and as the names (one month in swahili) indicates the bean matures very quickly. Mwezi-Moja is popular for fresh maize Githeri (cooked mixture of maize and beans) and Madondo (beans stew) as it takes a shorter time to cook in comparison to other beans. Retail Price Ksh81($0.81)/kg, Wholesale Price Ksh76($0.76)/kg, Ksh6,870($68)/90kg bag. Butter Beans popularly know as Noe in Kenya. Butter beans are grown in Kenya in Nanyuki, and some parts of Kitui. Butter beans are not grown much because they are crawling beans that decrease other crop yield when intercropped. Butter Beans varieties are white, brown,purple or black bean, that is popular for bean stew, it takes a shorter time to cook in comparison to other beans. Retail Price Ksh183($1.89)/kg, Wholesale Price Ksh163($1.63)/kg, Ksh16,300($163)/90kg bag. 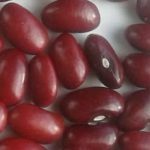 Gachuma/Kachuma Bean (Kenya), alias; Naser (Ethiopia); Very similar to Kituru/Gituru bean but is small round deep red kidney bean its small size and polished look sets it apart. This bean is season and may not be available all the time like the Nyayo bean. Retail Price Ksh81($0.81)/kg, Wholesale Price Ksh73($0.73)/kg, Ksh6,570($65.7)/90kg bag. Kenya Ministry of Agriculture reports a Nairobi price of Ksh5,850($57)/90kg bag. RATIN reports South Sudan Juba, Ksh104($1.03)/kg, DRC,Uvira Likasi , Ksh85($0.84)/kg. Rwanda, Kamembe Ksh35($0.34), Tanzania, Arusha Ksh44($0.43)/kg. 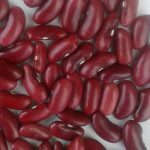 Gituru alias; Kituru or Canadian Wonder Bean (Kenya), Urafiki (Tanzania); Sapatsika (Malawi) Deep Red, Shiny long kidney bean, often mistaken for Wairimu Royal; however it’s distinct tastes, long size and polished look sets it apart. Retail Price Ksh81($0.81)/kg, Wholesale Price Ksh79($0.79)/kg, Ksh7,070($68)/90kg bag. Kenya Ministry of Agriculture reports a Nairobi price of Ksh5,500($55)/90kg bag. RATIN reports South Sudan Juba, Ksh161($1.61)/kg, DRC,Uvira Likasi , Ksh98($0.98)/kg. Rwanda, Kamembe Ksh33($0.33), Tanzania, Dar Ksh64($0.64)/kg.